​Call on a local's experience for expert advice. 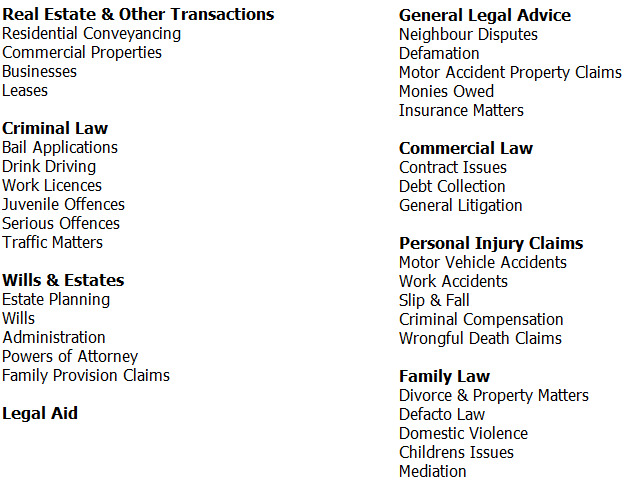 Landmark Lawyers has been serving the Brisbane and Ipswich communities since 1983. ​While our name and office locations might be new(ish), Landmark Lawyers is one of the oldest firms in the Goodna, Springfield and surrounding area. Chris Wlodarczyk & Co Solicitors (pronounced Wod-ar-chik) was born in Goodna in 1983. The firm flourished, providing general legal services in Queensland for almost 25 years under the stewardship of solicitors Chris and Justine Wlodarczyk, and their staff. In 2007, Chris and Justine decided to retire their pens and swords, and their long-term employed solicitor Paula Lundbergs took over the practice. In 2009, Paula made the difficult decision to change the previously eponymous name of the firm. After much debate (and relief that we no longer had to spell Wlodarczyk 20 times per day), Paula selected Landmark Lawyers. While our name and ownership has changed, we retain the characteristics central to the longevity and success of our firm: clear and timely advice, friendly staff and competitive fees. We strive on our commitment to clients. Please contact our friendly staff on (07) 3288 4777 or reception@landmarklawyers.com.au to discuss how we can help you with your legal needs.